I dropped by the local Nissan dealer this weekend. 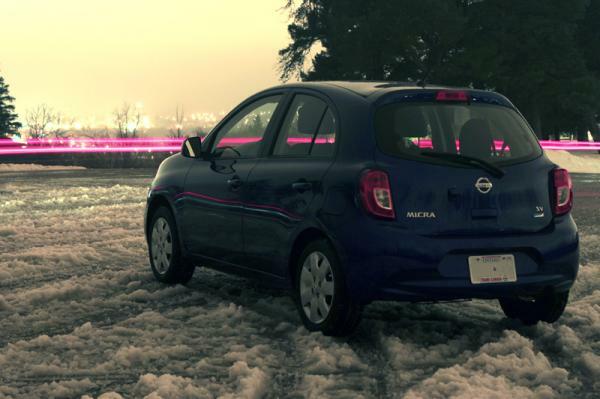 They have one 2017 Micra on the lot, and it appeared to be the SV trim (body-coloured door handles). But when I went around back to verify, there was NO trim badging on the car, just "MICRA"... and also the "Pure Drive" badge is absent. Maybe a case of Nissan saving a few more pennies per car, along with the removal of the standard equipment block heater? I double-checked some cars in the forum garage, and it looks like the SR & SV used to have trim badging... but the S never did. At least the SV badge might have disappeared in 2017. 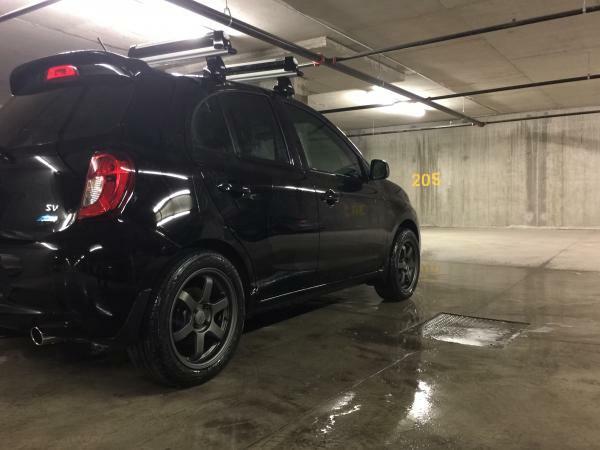 Onyx's 2017 Nissan Micra SV "Micra(Onyx)" ... no badge! The best trim badge in my opinion, one day I'll have it, shame on you Nissan Canada, I hate them. Haha! I knew what the pic would be before I scrolled down. No! I just saw a Micra with an S on it today! I pay attention to other small cars and I was passed by a blue S with no rear spoiler on the 400. Seeing that shot of my car makes me want to wash it and take more long exposure winter night shots! I guess they determined it was worth saving the money. Not just the cost of the parts - but a worker has to align & actually stick them on the cars. My 2015 had the SV and two others that I quickly removed, I hate badges or any sticker. 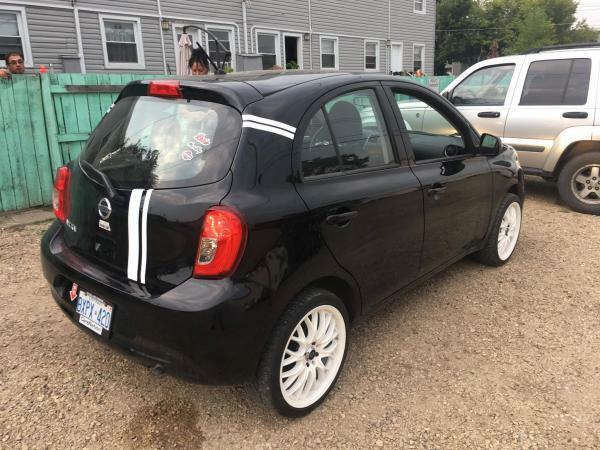 I've got Canada's only Micra GT-R edition, pretty rare!